Joe DeSoto doesn’t know what he’ll be doing for a living by the end of next month, but he hopes it involves wearing a wig, baggy clothes and lots and lots of make-up. He may not have a choice. 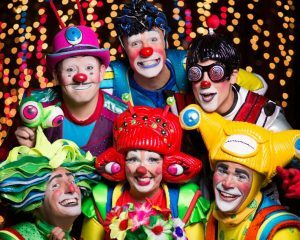 After all, DeSoto works as a clown for Ringling Bros. and Barnum & Bailey Circus and the spectacle will end its 146-year run at the end of May, with the company’s “Out Of This World” playing in Maryland for the final time when it visits Royal Farms Arena from April 20-30. 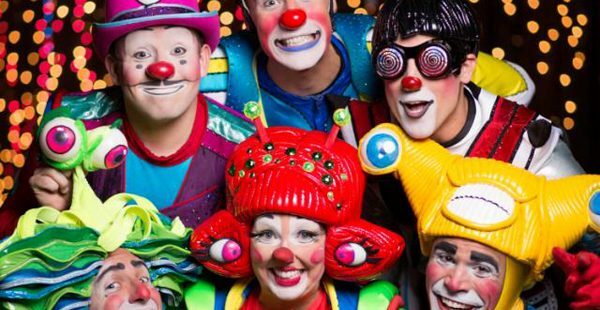 Feld Entertainment, which owns Ringling Bros. and Barnum & Bailey Circus, made the decision to close the curtain due to the event’s high operating costs, expensive legal battles against animal rights groups and declining ticket sales. “After much evaluation and deliberation, my family and I have made the difficult business decision,” Kenneth Feld, chairman and CEO of Feld Entertainment, said in a statement. “Ticket sales have been declining, but following the transition of the elephants off the road, we saw an even more dramatic drop. “Out Of This World” is a show that’s vastly different from its predecessors. Last year, Ringling Bros. held its final show that featured elephants before retiring the performing pachyderms to its 200-acre conservation center in Florida. Elephants had been a circus staple since Phineas Taylor Barnum introduced Jumbo in 1882. When: Thursday, 7:30 p.m.; Friday, 10:30 a.m., 7:30 p.m.; Saturday: 11:30 a.m., 3:30 p.m., 7:30 p.m.; Sunday: 1 p.m., 5 p.m.; Thursday: 7:30 p.m.; Friday, 10:30 a.m., 7:30 p.m.; Saturday: 11:30 a.m., 3:30 p.m., 7:30 p.m.; Sunday: 1 p.m., 5 p.m.